We acquired 'Acquire' yesterday in the electronics market. We've never seen any American board games in China outside of Beijing or Shanghai. But then again we never really gone out searching for games and we weren't searching this time either. We were shopping for DVDs when we stumbled upon the mother lode of games. The little shop had all kinds of Western games: Settlers of Catan, Uno, Monopoly, Acquire, Blockus, Jenga, and many others. 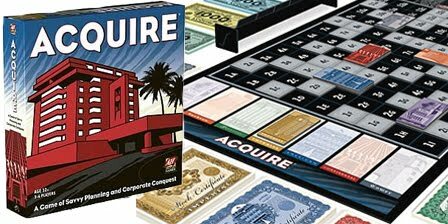 We immediately scooped up Acquire. M'Lynn was just introduced to this game last week playing a hand made version on a printed game board with printed money and paper tiles. We felt a little bad for our teammate who spent 12 hours creating the game from scratch, but it was too good to pass up. We printed the instructions in English (the game came with only Chinese instructions) and now we're ready to play. Anyone up for a game night?